Over the years our customer-first approach and commitment to investing in both people and technology has seen us win a number of awards. We’ve won the Consumer Moneyfacts International Money Transfer Provider of the Year award four times. The award winner is chosen on the basis of independent feedback from over 180,000 consumer surveys. The winner of the overall award for Best Customer Service is chosen from more than 100 companies across 26 categories. To win this award three times we had to come out on top against companies like John Lewis Sainsburys, MBNA, LV and M&S Bank. 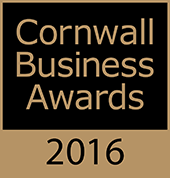 Our commitment to customer service saw us win the Cornwall Business award for Customer Focus for the second year running. The Employer of the Year accolade was awarded to TorFX on the basis of the company’s staff development strategies. The winner of this category had to show that its dedication to its staff has supported the creation of a motivated, committed and effective workforce. TorFX proved itself deserving of the honour of ‘Winner of Winners’ as a result of its significant growth and innovation in its market sector. The company also demonstrated a strong financial performance and was recognised as making a considerable contribution to Cornwall, the home of its head office. TorFX won this award by demonstrating the best organic growth strategy of the businesses shortlisted in the Dynamic Growth category. The commendation was also due to TorFX achieving outstanding and continually improving levels of sales, profit and share through the adoption of the latest technologies and development of innovative products. For almost 20 years the Sunday Times Virgin Fast Track 100 league table has been ranking the 100 private companies in Britain with the fastest sales growth. TorFX placed highly in both 2008 and 2010 in an acknowledgement of its rapid expansion in sales, manpower and market share. Since 2010 TorFX has continued to grow year-on-year and the company is now part of a group which processes in excess of 3 billion Pounds in international payments per annum.